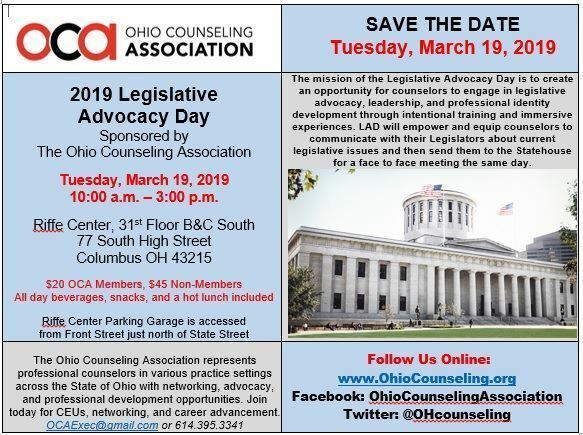 Legislative Advocacy Day: March 19, 2019. Information and Registration. OCA Spring Conference: March 20-21, 2019. Information and Registration.